Wharfeside House provides self-catering accommodation in picturesque Wharfedale for groups of 15 to 30 with exclusive use for your group. Wharfeside offers fully equipped kitchen with aga. There is a drying area and large indoor bike storage. Live in Warden for daily support. 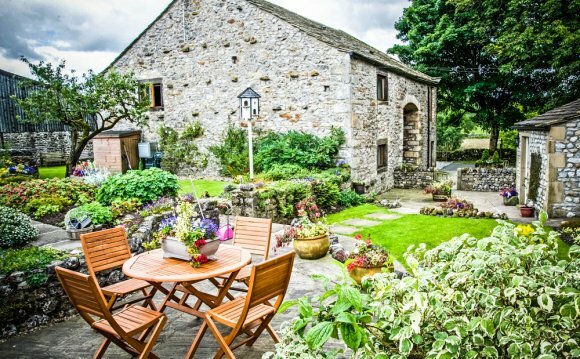 Yorkshire Group, Family and Business Hire for 18 set in extensive grounds between Grassington and Kettlewell surrounded by green pastures, rivers and wild flower meadows with walks available straight from the door. Wharfedale Lodge benefits from a recent refurbishment of facilities. Ellergill is situated at the head of Littondale, near the Pennine Way and the Dales Way, and the area is criss-crossed by a number of public footpaths. Ellergill Bunk Barn is adjacent to Halton Gill Bunk Barn. This former stables and coach house of the old Vicarage at Hubberholme near Buckden offers self-catering bunkhouse accommodation for 18 people in four bedrooms. Central heating with radiators, and open all year. Halton Gill is situated at the head of Littondale, near the Pennine Way and the Dales Way, and the area is criss-crossed by a number of public footpaths. Halton Gill Bunk Barn is adjacent to Ellergill Bunk Barn. On the edge of Malham, this bunkbarn is in a peaceful and quiet location. The famous Malham Cove (¼ mile), Gordale Scar (1½ miles) and Malham Tarn (2½ miles) are all linked by the area's comprehensive network of footpaths. Horton-in-Ribblesdale, the start of the Yorkshire Three Peaks is just 25 mins drive away.